WHAT IS A KRA RESIDENCY? 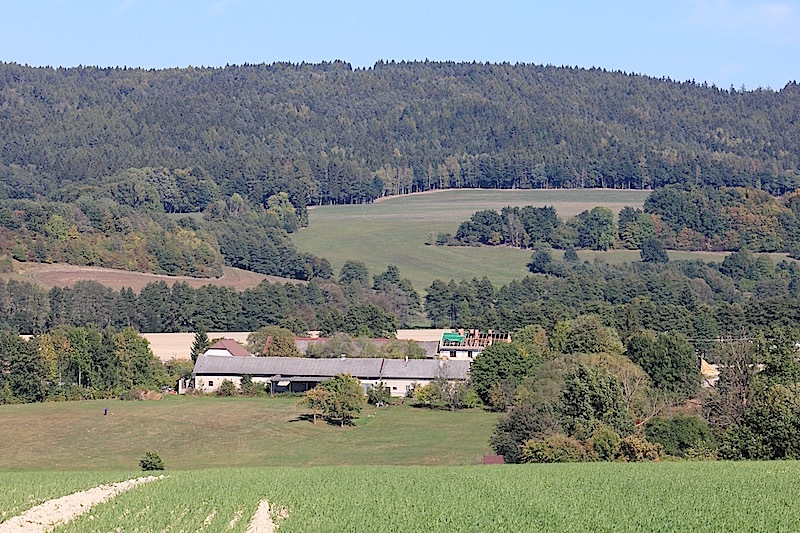 KRA is located in the Vysočina region of the Czech Republic, a hilly area of Železné hory (Iron mountains), in a small village with about 50 inhabitants (can be 25 as well we don’t know). The residents stay in the historical manor from the 17th century in a newly renovated attic space. 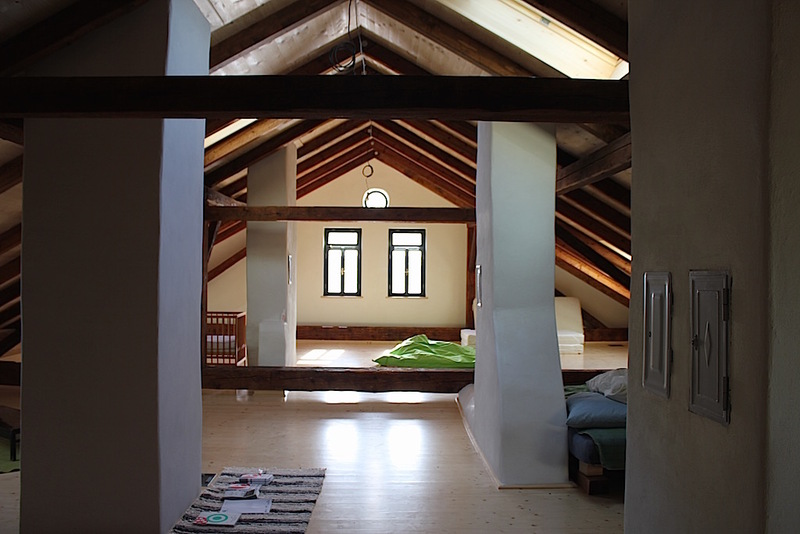 Kravín, a vaulted cowshed, has a small wood/metal workshop and is providing basic tools for media artists, gardeners, beekeepers, and writers. An ideal place for self-reliant artists and researchers looking for a quiet and inspiring place to develop their long-term projects. 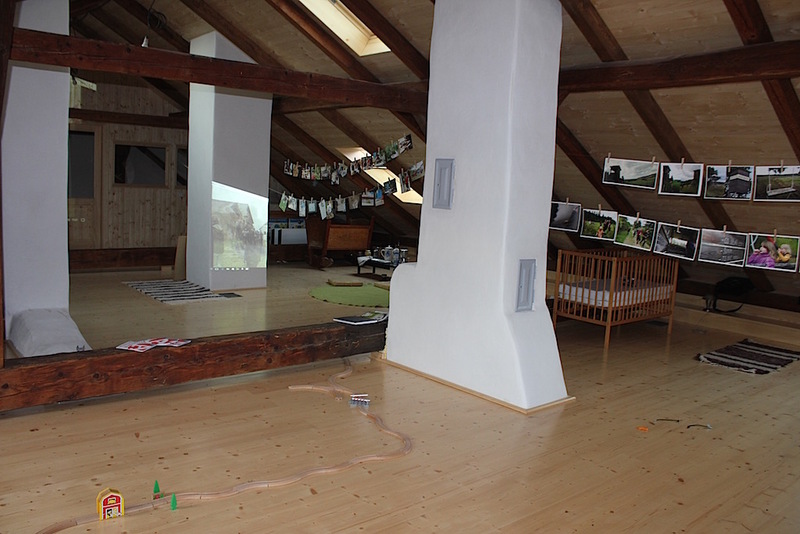 KRA is working on a local network of countryside venues and alternative art spaces. While the residents are about, we will look for places for exhibiting their work or public presentations. KRA is developing an international network to reinforce a new culture – despite current international cultural and social politics. 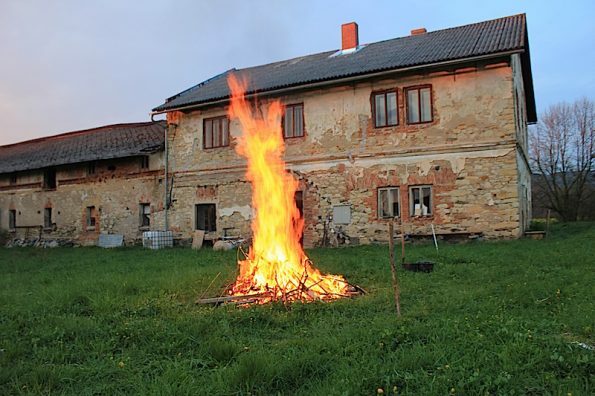 The program situates itself at the intersection of art, ecology and agriculture, and is developed in cooperation with the nearby vegetable farm Zastráň. 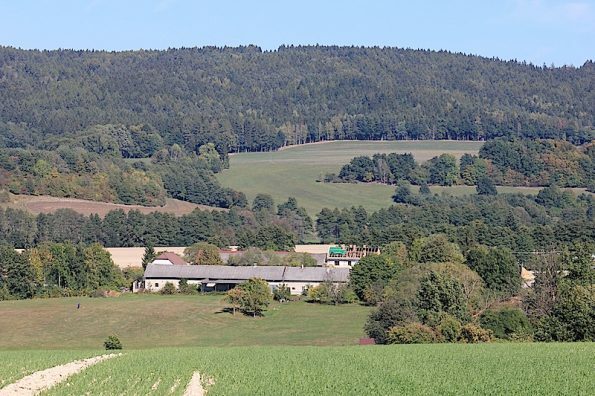 It concerns the current methods and means we are using for feeding ourselves, and how we are cultivating our living conditions in the countryside. We are interested in DIY water, air and soil pollution testing, critical building and irrigation systems, historical reflection on the environment and landscape restoration issues. How have villages changed over the last decades? How do villages sound today? The program is looking into new ways of working with field recordings and compositions (from R. Murray Schafer and Luc Ferrari to Kravař and Zetor, or back again). Not only for sound artists with the interest in rural sound environment. Can be done in cooperation with the IGLOO sound gallery of the Vysočina Regional Gallery in Jihlava [OGV]. At the moment we are creating an audiovisual new instrument out of a 1940 tank wagon, in collaboration with (n) and Dominique Leroy [fr]. It will function as a large resonator, and can be accessed online. Apart from that Dominique Leroy is designing a living sculpture or workspace on the old tube, which will serve as an original residency location for sound artists. Any proposals are welcome, from artistic research (focus on culture) to anything else, as long as it is compatible with KRA, ecology driven and experimental… For singers, writers, dancers, gardeners, walkers, bikers, and talkers: the freewheelers among us, the wanderers and philosophers, the ones that don’t like a current over pragmatic culture establishment. Just say it? + SPECIAL 2017 THEME: FANFARA HRANICE! Residencies by artists from V4 countries (Poland, Hungary, Slovakia) can be supported by grants from the International Visegrad Fund. Please check your own country’s possibilities for obtaining support as a resident. We can provide assistance for completing the applications. KRA visitors are residing on the attic, restored and renovated, insulated and wired. The electronic and audiovisual studio is housed under the same roof. KRA workshops are in an old 300 year vaulted cowshed (kravín). Applicants are encouraged to look for the financing resources themselves. The residency space is provided to a limited amount of applicants every year. Additional support depends on grants and subsidies we manage to receive. Please contact hinterland@kra.land for further information.